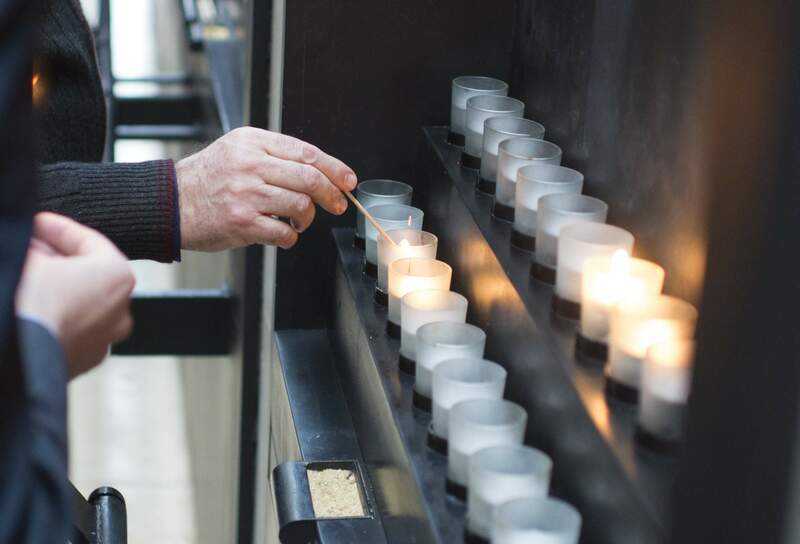 Holocaust survivors and other attendees light candles in the Hall of Remembrance at the United States Holocaust Memorial Museum in Washington. Twenty-two percent of millennials said they haven’t heard of the Holocaust or are not sure whether they’ve heard of it – twice the percentage of U.S. adults as a whole who said the same. Asked to identify what Auschwitz is, 41 percent of American adults as a whole and 66 percent of millennials could not come up with a correct response identifying it as a concentration camp or extermination camp. The U.S. Holocaust Memorial Museum says that at least 1.3 million people were deported to the camp, run by Nazi Germany in occupied Poland, from 1940 to 1945, and 1.1 million of them were killed. It was the largest concentration camp among many built by the Nazis during their campaign to wipe out the Jews and other groups. Respondents indicated much more awareness of modern-day bias against Jews, with 68 percent saying anti-Semitism is present in America today, and 51 percent saying there are “many” or “a great deal of” neo-Nazis in the U.S. today. Despite the lack of historical knowledge, the survey found a desire for Holocaust education – 93 percent said in response to a question toward the end of the survey that all students should learn about the Holocaust in school. Perhaps because respondents feel that lack of knowledge is a real threat to the future: 58 percent said they believe something like the Holocaust could happen again.